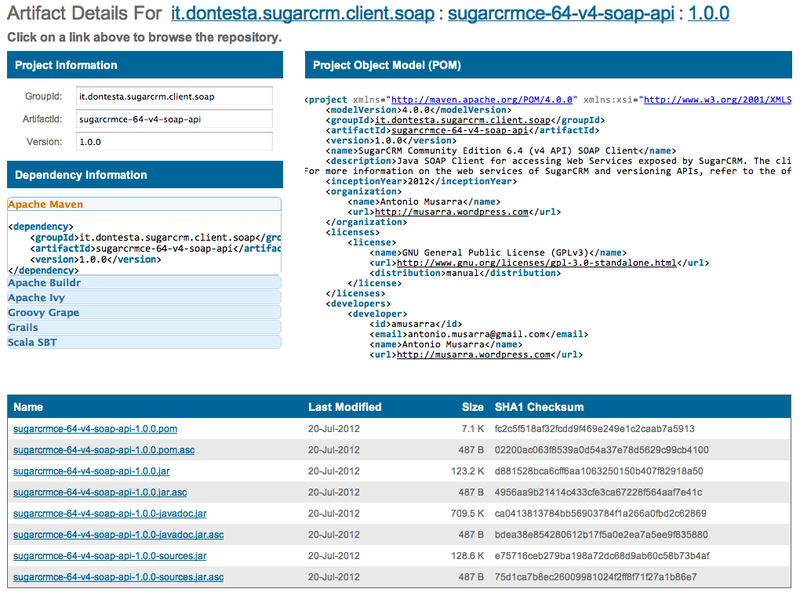 Now available on The Central Maven Repository, the first version of the Java client for SugarCRM. The reference version is the SugarCRM Community Edition 6.4. I hope soon to publish an article that shows the creation of a Maven project using the SugarCRM client.